"""The Rocks Gravit HEMP pant is designed for climbers and built for sport climbing and climbing trips.The Regular Fit optimizes comfort and freedom of movement with a straight leg shape and large and f lat waistband construction that is harness compatible. The flatlock assembly of the ribbed waistband fits very nicely, flat and snug. 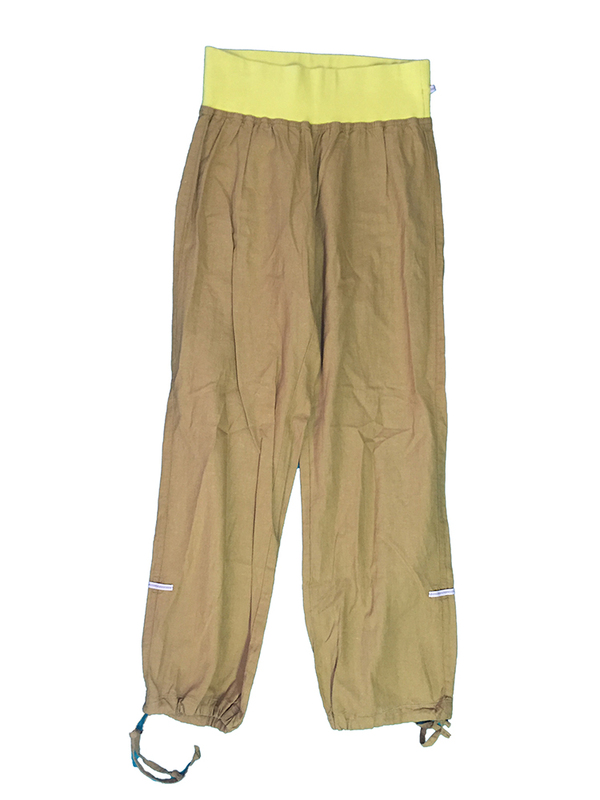 The HEMP and organic COTTON blend fabric fulfills the purpose with a lightweight and fine texture.Use the cinch at the bottom hems to get a clear apprehension of your moves or turn this long pant into a length using the Roll-Up system at the cuffs. 55% Hemp 45% Organic Cotton"